I've got a Christmas card to share for CAS on Friday. I know the big day has past but you can never start too early for next year! This is another adorable Gerda Steiner image. I really love their critters - always so super cute! I coloured him with Copics and popped him up on foam tape. I used some washi tape on the bottom of the MFT die to ground him and couldn't resist adding an ornament down in the corner to add to his naughtiness! I made a similar design using a Gerda Steiner pup (gotta cover all the critters!). The patterned paper is ancient (from my ridiculous Christmas paper stash) so I have no idea who made it! Cardstock: (White) Papertrey Ink, (Basic Black) Stampin' Up! 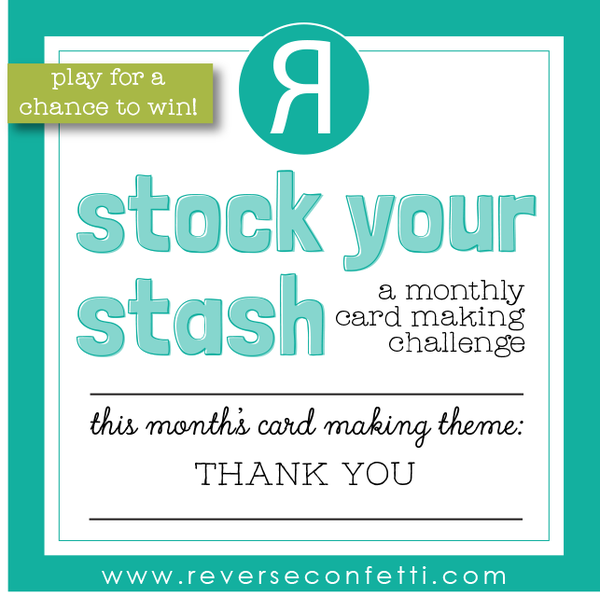 I'm back again with another Thank You card for the Reverse Confetti Stock Your Stash challenge. I finally got the Blooms 'N Buds set (that's been on my wish list for ages) and inked it up for a couple of cards today. All the flowers in it are gorgeous but I think this one is my favourite. I wanted a bright and cheery card so I used Catherine Pooler inks for the flower and some fun RC paper in the background. The sentiment flag is actually made with some creative die cutting using an RC flag that's flat on one end and the Thanks die is from Paper Smooches. This is a VERY different way for me to use patterned paper but I love the result and and going to try and keep being adventurous with it. I was so excited to get into the Craft Cave today after a busy Christmas week. We had a small and simple but lovely celebration with family and some friends and way too much food! It was great but I was very ready for a quiet day of crafting today. I turned off my phone, locked the door and caught up on podcasts. 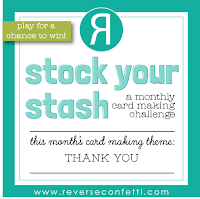 I realised that the deadline for the Reverse Confetti Stock Your Stash challenge is tomorrow so decided to play with my RC goodies and make a selection of cards. The challenge theme is Thank You cards so I started there and pulled out this adorable koala and some RC patterned paper. I Copic coloured him and popped him and the speech bubble up on foam tape for a bit of dimension. I'll be back a bit later to share some more! We don't have holly growing here in Bermuda so I only get to see it on Christmas cards. This particular holly is from Reverse Confetti as is the "merry" die cut. You wouldn't believe how long I agonized over which way to layer the merry die cuts - black on top or stripes on top? You'd think it was a life or death decision! 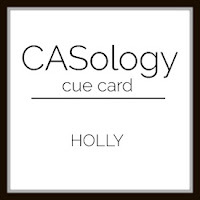 Link your creations to the CASology blog by Monday, 31 December at 9am (CDT). Eek! 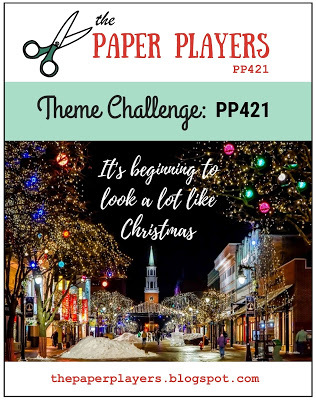 I'm squeaking in at the very last minute for the Muse: Christmas Visions challenge. My schedule is so out of whack right now that I never know what day it is! 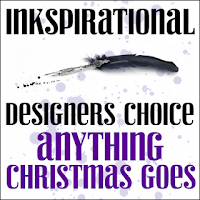 Anyway it's a Festive Free for All at MCV and I was inspired by DT member, Lindsey's inspiration card. I stuck with a similar layout and colours and gave some more love to this ancient PTI stamp set. I'm slowly getting better at lining up the stamps for the doggie sweaters - this one came out pretty darn well! It's another blustery day here and I'm about to set out to do my rounds bathing dogs and clipping nails. 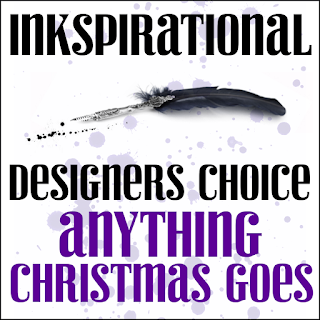 First though I want to share a card for the Inkspirational Anything Christmas Goes challenge. 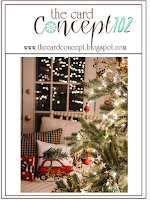 This MFT Christmas Yeti is a favorite - he's so cute all tangled up in those lights! I paired him with a cool striped background die from Taylored Expressions. I like that the stripes are different sizes - it adds a fun element to it. Cardstock: (White) Papertrey Ink, (Real Red) Stampin' Up! I'm popping in on this grey and chilly day to share a cheery birthday card for the Anything Goes challenge at Addicted to Stamps and More. I used an adorable Gerda Steiner pooch. I paper pieced him with, and popped him up on, papers from Studio Calico. It was nice to take a little break from Christmas cards and make a few birthday cards but now I need to get back to the festive creating! 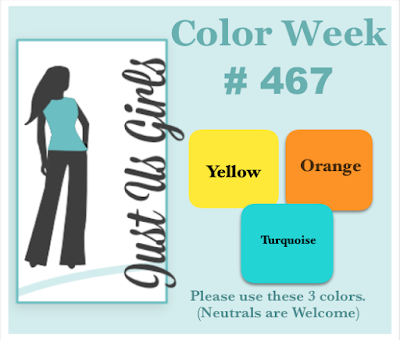 I've got card today for Heather's colour challenge at Winnie & Walter. I had some fun creating this patterned panel although it took forever to lay it out - I need to speed up my randomness!! I like how it came out though and everything from the flowers to the sentiment to the scalloped die cut panel are all Winnie & Walter. 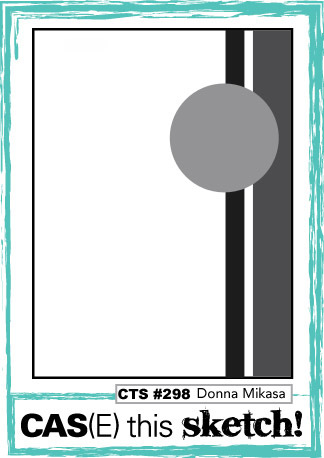 Cardstock: (White) Papertrey Ink, (Bermuda Bay) Stampin' Up! 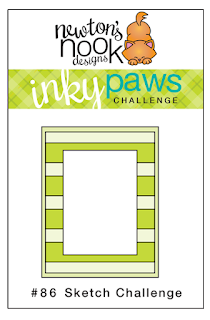 I've got a card to share for the Inky Paws sketch challenge. This image of Newton tangled up in lights is one of my favourites for Christmas. He's such an adorable little scamp! And clearly I'm digging the "tangled up critters" theme as yesterday's reindeer got himself in a bit of trouble too! Cardstock: (White) Papertrey Ink, (Real Red, Old Olive, Basic Black) Stampin' Up! 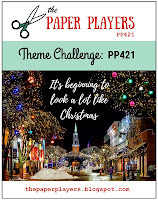 I'm popping in tonight with a card for the Christmas theme challenge at The Paper Players. 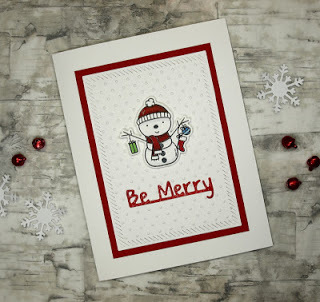 I am really loving these Gerda Steiner Christmas critters stamps. I used a kitty image here and still have some pooch images to colour. I put some Glossy Accents on the reindeer's nose for a little shine and popped him and the birdies up on foam tape. To me, north in winter time means snow snow snow! I don't usually make cards with anything snow related - it feels wrong since we never have any here. However, this sweet set from Neat & Tangled was irresistible and has now come in handy for this challenge! Link your creations to the CASology blog by Monday, 17 December at 9am (CDT). 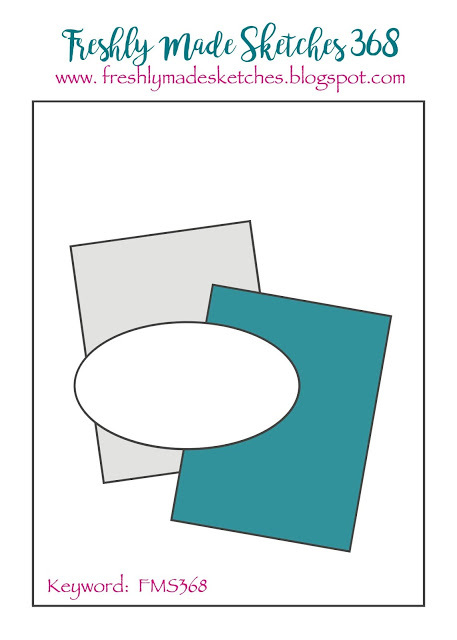 I have a card (which I think falls in the Clean & Layered category) for the Card Concept photo inspiration challenge. I pulled out some new Lil' Inker Designs goodies for this one. I LOVE this plaid cover plate and used it on a few different cards yesterday. I took my inspiration from the tree, the pops of red and the dark night outside the window. I had a little trouble with lighting on this photo but on the tree it says, "May your days be merry and bright." There are 5 different sentiment ornaments in the set. I made a card with each and will share them later as I realised I didn't photograph them all. Cardstock: (White) Papertrey Ink, (Real Red, Basic Black) Stampin' Up! 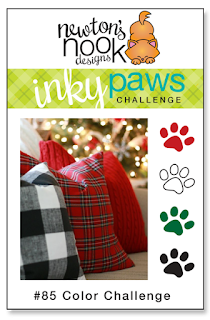 I've got a card today for two challenges - Freshly Made Sketches and the colour challenge at Inky Paws. I hope my design isn't too much of a stretch in terms of the sketch but I had fun putting it together. How cute (and naughty!) is Newton hanging off of this Christmas bauble? I used some tree branches from Sunny Studios for the ornament to hang on. It's either the biggest Christmas tree and ornament ever or Newton has been shrunk to the size of a mouse! I've got three cards to share today. 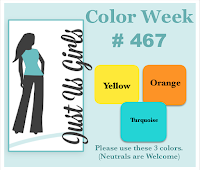 First up is for the colour challenge at Just Us Girls. 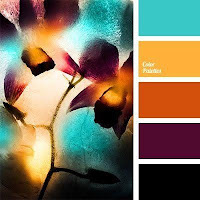 I used some paint strokes from one of the Flora & Fauna texture sets to lay the colours down. The flowers are Paper Smooches and they were each die cut and stacked with three layers to give some dimension. The sentiment is from Altenew and I used Nuvo drops for the flower centers and to highlight the sentiment. 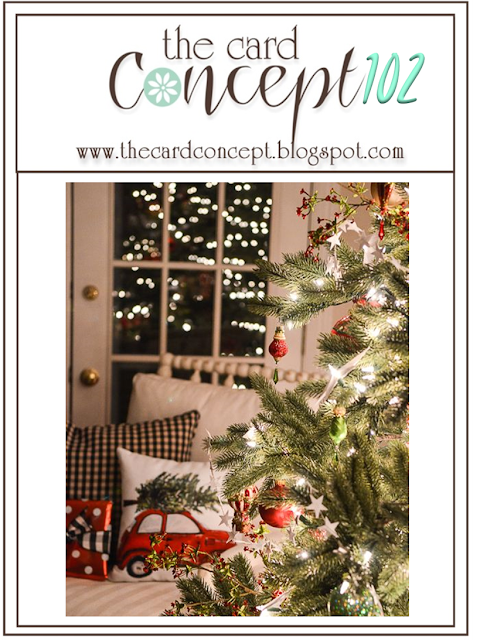 The next card is for the CAS challenge at Addicted to Stamps and More. I wanted to make a more CAS version of the first card. This time I let the paint strokes overlap a bit and I stamped the Flora & Faun flower and sentiment directly onto them. I used a Nuvo drop for the flower center and some clear gems around the sentiment. I keep changing my mind about which one I like best. Which one do you prefer? Cardstock: (White) Papertrey Ink, (Cherry Cobbler, Mint Macaron, Tranquil Tide, Basic Black) Stampin' Up!